Do you ever find yourself feeling overwhelmed? Do you sometimes feel like you just have too much to think about? Does it make you tired, irritable, or even depressed? What can you do about it? People rarely go to the doctor to say "I think I have stress," and yet the National Institutes of Health say that 80% of illnesses are caused by stress, directly or indirectly. Hormones, such as adrenalin, are released into your blood when you're stressed. This causes a rise in blood pressure, a faster heart and breathing rate, and faster conversion of glycogen into glucose. These are good things if you need to escape a charging grizzly bear, but when these effects are prolonged, the immune system is depressed, and your body suffers other negative changes. Common effects of prolonged stress include fatigue, pain in the muscles and joints, headache, mental confusion, depression, anxiety, and irritability. Stress reactions cause your body to use too much energy, which can result in physical and mental weakness. The bottom line is that stress is a killer, and that meditation really can help you defend yourself. Traditional meditation may have the most beneficial effects, but maybe you're short on time, or uncertain about learning to meditate. In that case, there are two simple techniques you can learn in a few minutes, and start using today. 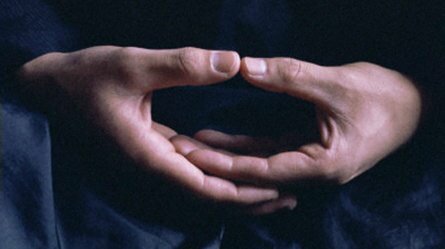 The first is a breathing meditation. Close your eyes, let the tension drain from your muscles, let go of your thoughts (to the extent possible), and breath deeply through your nose, paying attention to your breath. As thoughts or sensations arise, just acknowledge them and return your attention to your breath as it goes in and out. Do this for five or ten minutes. To use the second technique, stop whatever you're doing when you feel stressed, and take three deep breaths. Watch yourself until you identify what is bothering you. Are you worried about something? Is there a letter you need to write? Maybe your neck is sore. Note everything you find. Now deal with these stressors. Write the letter that's on your mind, take an aspirin, put things on tomorrow's list. If the best you can do is recognise there's nothing you can do right now - then do that. With practice, you'll get better at finding what's just below the surface of consciousness, irritating you. After you address these things, close your eyes, take three deep breaths, and you'll feel more relaxed and able to think clearly. Try it now.